It’s about the joy of new life. New life from old life. New life out of death. New life is alive with the bloom of everlasting life. Vivaldi knew music, and he knew Spring in a unique, special way. just as are the colorful flowers, butterflies, birds, and bees herein. It’s another way to tell of God’s glory, another facet of proclaiming His brilliance! I present you with Vivaldi’s “Spring”. Thank you Simon S. Alba for posting this video. Hardly a day goes by that I don’t think, in some way, about Christ’s crucifixion and resurrection. But wait, it is different, for today is the church’s official celebration of that creation-changing, world-changing, life-changing Day. Rejoice! Rejoice With All Your Might! Rejoice! Hardly a day goes by that I don’t think, in some way, about Christ’s crucifixion and resurrection. Today is no different. Wait, it is different, for today is the Church’s official celebration of that creation-changing, world-changing, life-changing Day. Today, let there be loud singing and joyous dancing. Let there be massive celebration over all the Earth, for our Jesus is alive! Let there be all of that, but, most importantly, let Him be the Lord of your life. For our Savior lives and breathes in us. 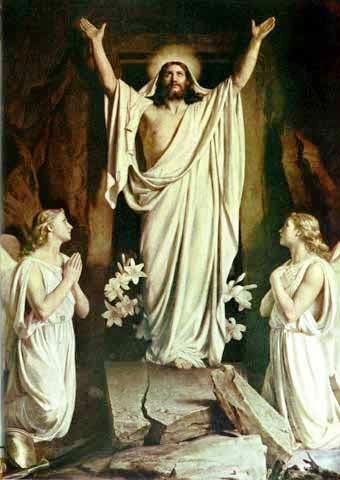 He arose, he conquered bitter death, and saved. He does that, still, today! I once again turn to Stuart Townend, together with Keith and Kristyn Getty, to express with music and images what cannot be expressed with words alone. I pray that every heart that hears and sees this will be broken, transformed, and remade at the foot of that one horrible and glorious cross………..